Rob and Brenda currently reside in Chilliwack, British Columbia. They have two children, David and Dakota. As “Padrinos,” Maria was added to their family in 2006. From early in their marriage, both Rob and Brenda have committed to serving the Lord by working together in ministry. Rob attended Columbia Bible College in the early nineties and went on to serve in youth ministry for 17 years. 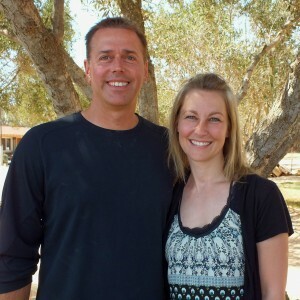 During that time, Rob and Brenda founded Stoney Creek and One Life One Chance Ministries. To fund their work abroad, Rob & Brenda own and operate a construction company. Pray for God’s protection on our family…Brenda and me, our children, marriage, and extended loved ones. May there be continued peace in our home and a healthy relationship with our children. Pray for favor with the people we work with. May God give us the ability to retain and “literally” speak into the lives of those around the globe. Pray that God would anoint the work we are undertaking. May God continue to give unity to the board of One Life and place a hedge of protection around them and their families. Provide continued resources for our Canadian construction work.